258%. We can’t even put an exclamation point on that one. It’s an absurd increase. Mobile device shopping is exploding in popularity, and these numbers show just how drastic the changes are. Why should the average small business owner care? 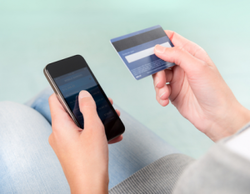 These data show that it’s more valuable than ever before to offer mobile-optimized sales. With easy-to-implement mobile stores, the profit potential has become much more attractive than in past years. For many small business owners, the idea of offering a mobile store was once a costly proposition that offered little return. Now, the above figures show that generating a significant amount of revenue via the mobile platform has become a lot easier. There are two forces driving these changes: 1) user behavior and 2) the availability of solutions. As for user behavior, when only a small segment of the consumer market was shopping via mobile, it simply wasn’t worth it to cater to them. Now, with users flocking to mobile stores and huge volumes of transactions happening on mobile platforms, the critical mass is there. And if trends continue, the majority of online shoppers (or perhaps just “shoppers”) will soon be making purchases via mobile. As for the availability of solutions, creating and managing a mobile store once required major IT expenditures, took lots of time to implement, and was difficult to maintain and control. Now, there are cost-effective solutions that can be set up and configured in record time, like TapTap Direct!